It’s an unfortunate and frightening fact: if your child has a smartphone, chances are they’ll experience cyberbullying. Predators can easily get to kids through a screen. A single mistake can go viral. Our children face so many dangers that parents need to be able to monitor their smartphones. Even tech giants Samsung and Apple acknowledge the importance of restrictions and monitoring. They created built-in settings on their devices to protect kids. With the dangers they face in mind, which smartphone keeps your child safe? Android phones don’t feature built-in settings for monitoring a kid’s smartphone. To do so, parents can perform periodic phone checks or install a parental control app. However, Androids do have built-in restrictions to block certain content and apps. For instance, you can set your child’s phone to restrict content from Google Play and third party vendors. Androids allow you to password protect Google Play. That means that before your kid downloads anything from the Play store, they’ll need your permission. This allows you to review apps and make sure they’re safe. Plus, it’ll keep your kids from spending money on apps. Androids also allow you to set age restrictions in Google Play. When setting up your parental controls, you can choose the highest content rating you want to allow for downloading. Also, these ratings are customizable by category, which means you can set a higher age rating for books and lower rating for apps and games. Google Play is not the only way your child can download an app. Now, users can buy and download apps from third-party vendors. 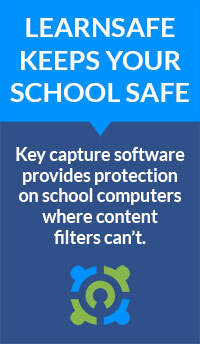 But using apps from third-party vendors may expose your child to malware, stolen personal information and predators. To prevent this, go to the smartphone’s settings. Then go to security and find “allow installation of apps from unknown sources.” Make sure it’s turned off. Like its competitor, iPhones have built-in restrictions that can block certain content through restricting the App Store and turning on parental controls. However, the phone takes it up a notch by having built-in monitoring options through iCloud sharing as well. Like Androids, iPhones allow you to make the app store password protected. 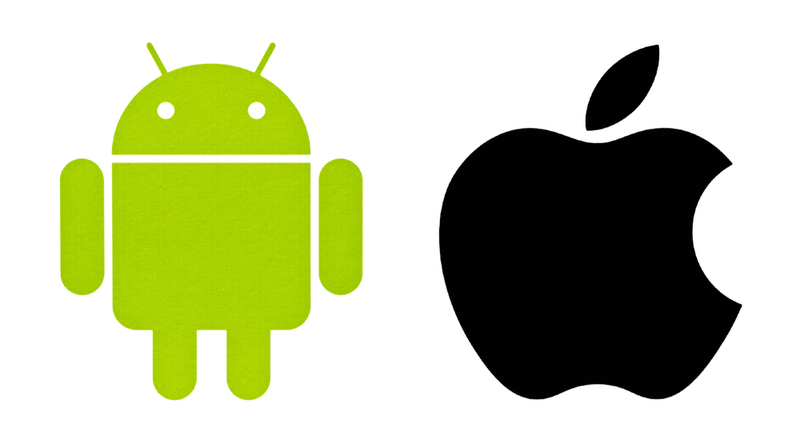 Both smartphones allow you to check apps before they’re downloaded, preventing accidental app purchases. The iPhone App Store and Google Play also share similarities when it comes to parental controls. iPhones allow you to customize content by category and set higher or lower age ratings as well. iPhones have built-in restrictions that can be turned on your child’s phone. Yet parents have the option of only restricting certain apps. These restrictions range from using FaceTime to allowing only specific websites on Safari. This is a great option for blocking inappropriate content on various apps. Apple’s iCloud function is a great tool for monitoring your child’s cell phone activity. You’ll be able to view your child’s emails, contacts, photos, and notes. If everyone in your family has an iPhone, you can even opt for Apple’s Family Sharing. You and up to five other family members will share iTunes, iBooks, App Store purchases and an iCloud sharing plan. Whether you’re Team Android or Team iPhone, the most important part is protecting kids from the dangers smartphones can bring. Make sure to weigh the pros and cons of each smartphone and decide what’s best for your child and family.